In the 19th century most rural Irish people were landless labourers, or peasants with only a few acres. 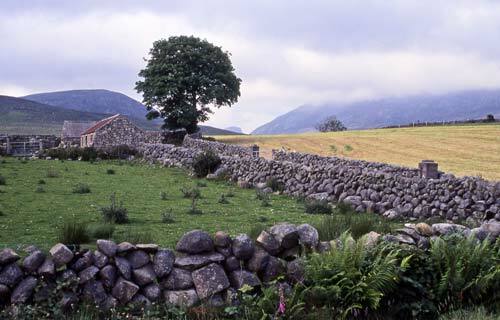 This small stone cottage, a typical home for many Irish peasants, is on the slopes of the Mourne mountains in County Down. Large numbers of Irish emigrated to New Zealand from County Down.